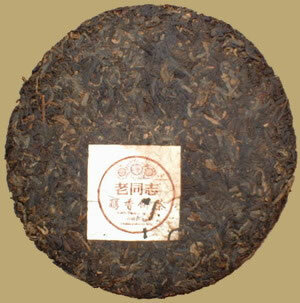 This Pu-erh cake was produced by Haiwan Tea Factory, the director Mr. Zhou Bing Liang is the retired manager from the Menghai Factory. Mr. Zhou is now in charged of the complete tea processing methods to guarantee a premium quality. Haiwan always offer premium Pu-erh Tea at very reasonable prices. This Lao Tong Zhi Chunxiang Beeng Cha is perfectly drinkable now but great potential after a few years of aging.